Alison Brooks Architects’ project is one of the five finalists shortlisted for the EU Mies Award 2017, the European Union’s Prize for Contemporary Architecture. The contest judges will be visiting the shortlisted buildings throughout the month of April, and so we will do the same, virtually, in the pages of Floornature, while we wait for the winner to be announced in Brussels on May 16. 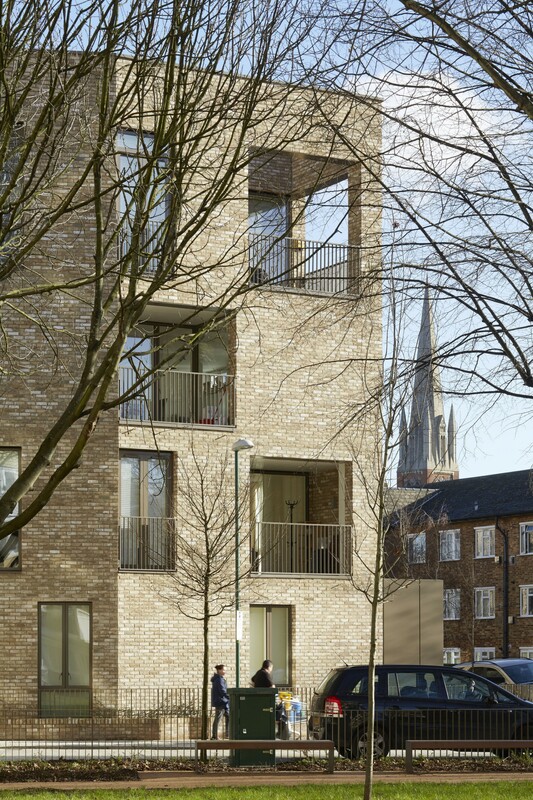 We start in London with Alison Brooks Architects’s Ely Court project. 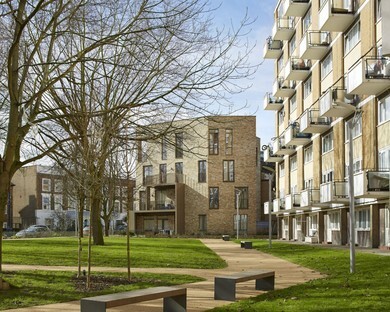 The housing development is part of the South Kilburn Estate Regeneration Masterplan in the London Borough of Brent, in the northwest of London. Using traditional construction techniques and choosing long-lasting, low maintenance materials, the architects regenerate the area with buildings of high architectural quality. 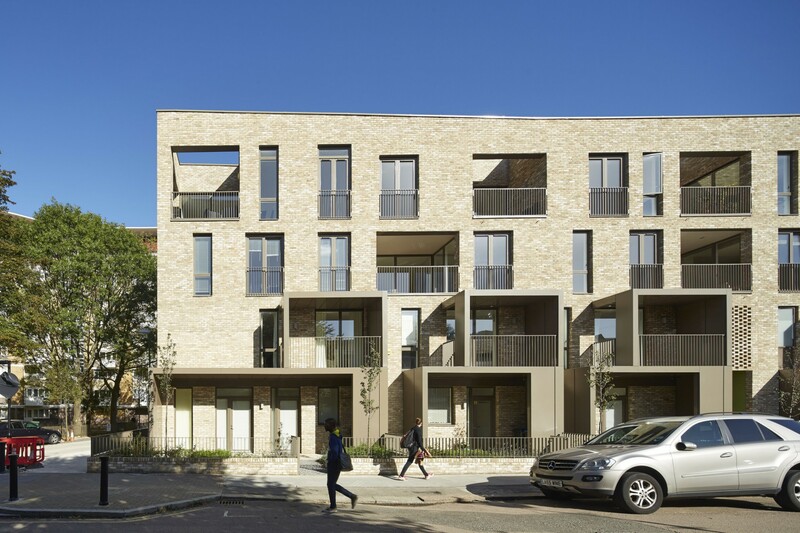 They succeed in restoring the spirit of the place by reclaiming the layout of rows of houses along the street typical of the 19th century suburbs of London, a construction tradition that was lost in the post-war reconstruction. In their new interpretation of this traditional layout, the architects create a new mews street, like the laneways that divided rows of houses in the 18th and 19th centuries, transforming it into a central green space, a shared element connecting the two blocks of houses and forming the "backbone" of the entire composition.